Fnatic, one the biggest and most well-known entities of the esports community, has partnered with Twitch. The partnership is a streaming exclusivity deal between the esports organization and the streaming platform. The deal basically means that all members of Fnatic’s roster will now live stream all content exclusively on Twitch. As reported by EsportsInsider, the announcement was made earlier today. The deal includes players from all of Fnatic’s teams, including Counter Strike: Global Offensive, Dota 2, and FIFA. Furthermore, the partnership is an opportunity for the esports organization to promote the Fnatic Gear peripherals. The financial terms of the agreement were not disclosed, but the partnership is supposedly a “long-term collaboration.” The exclusivity deal is not limited to gaming live streams, as Fnatic’s gaming-related live talk shows will also be streamed on Twitch. 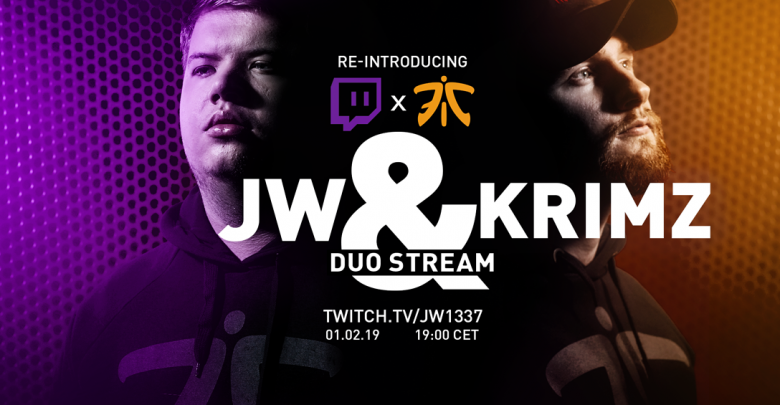 The next event of the partnership will be hosted by JW and KRiMZ from Fnatic’s CS:GO roster. The stream starts at 19:00 CET on JW’s Twitch channel and offers exclusive prize drops.